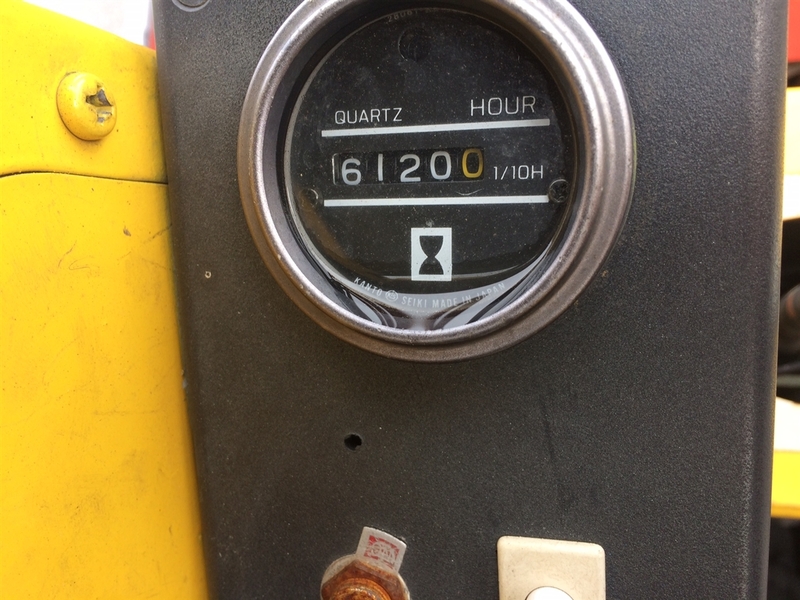 We're offering a great deal on this Nissan pneumatic tire forklift with 61,200 hours showing on the hours meter. 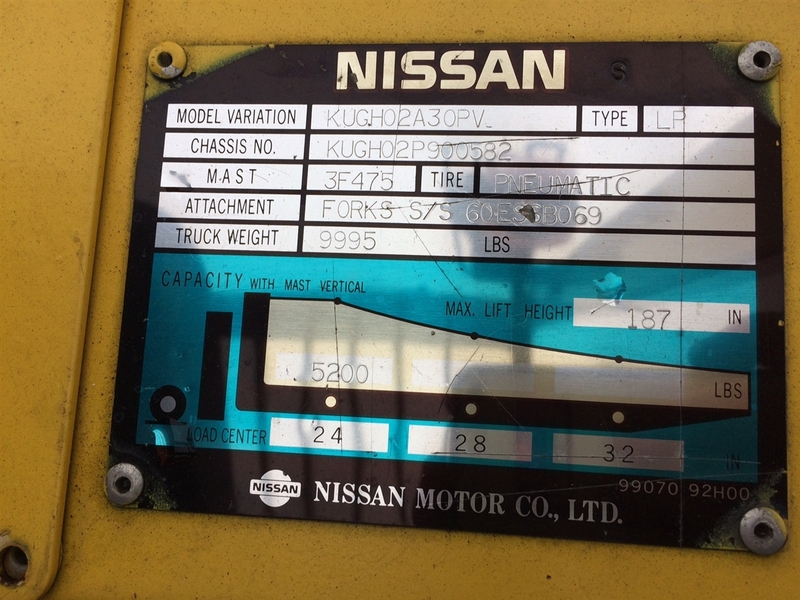 This Nissan LP pneumatic has a vehicle weight of 9995 pounds and a lifting capacity of 5200 pounds, while the maximum lift height is 187 inches. 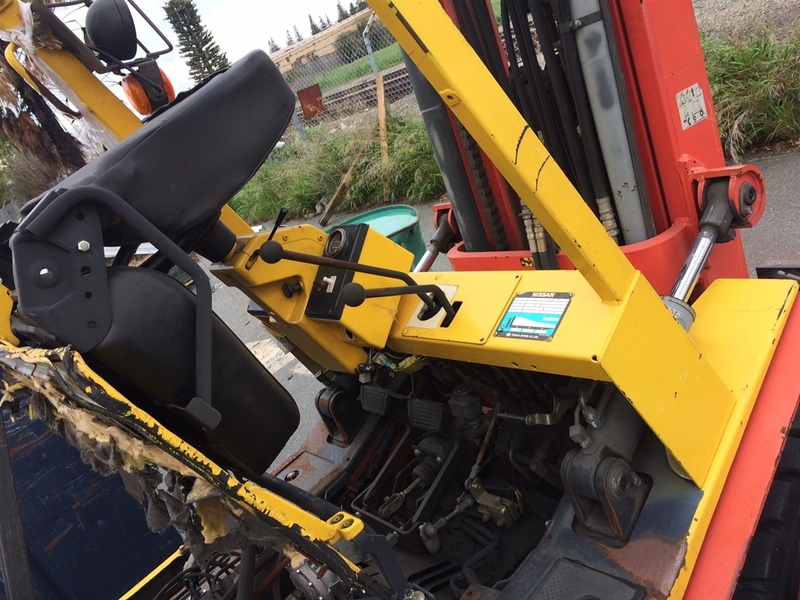 Manufactured by Nissan Motor Company, this used Nissan lift truck has seen some serious use but is still strong and ready to go. These Nissan trucks are known for their fuel efficiency, operator comfort, high performance, low cost of ownership and full compliance with emissions regulations. Powered by an industrial-strength propane (LP gas) engine, this unit works well both indoors and out. This unit is priced to sell at $4,800.